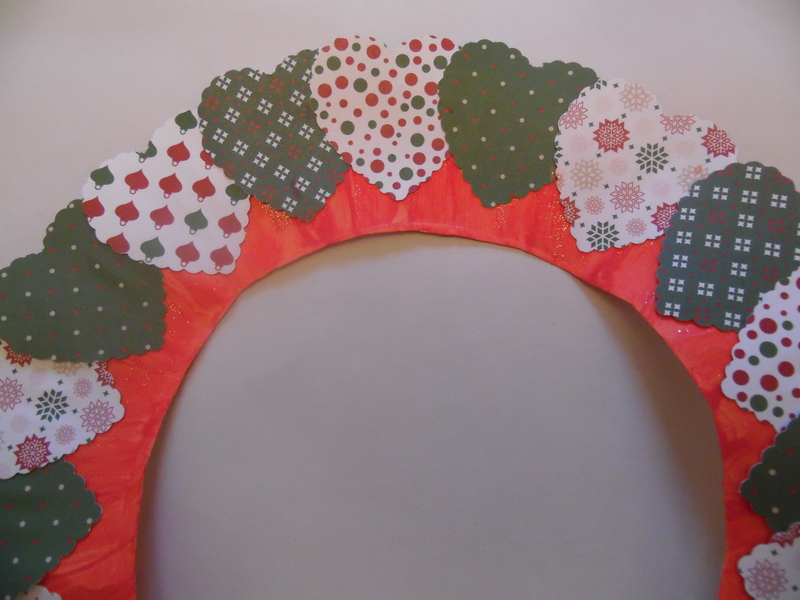 Christmas heart wreath | Let their light shine! 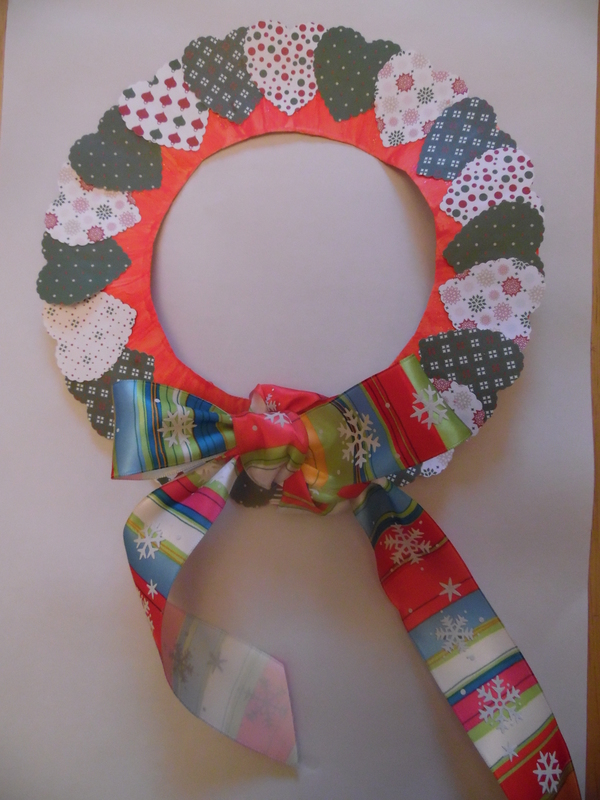 To make this wreath you will need a paper plate with the centre cut out. Paint this red or green. Leave to dry. 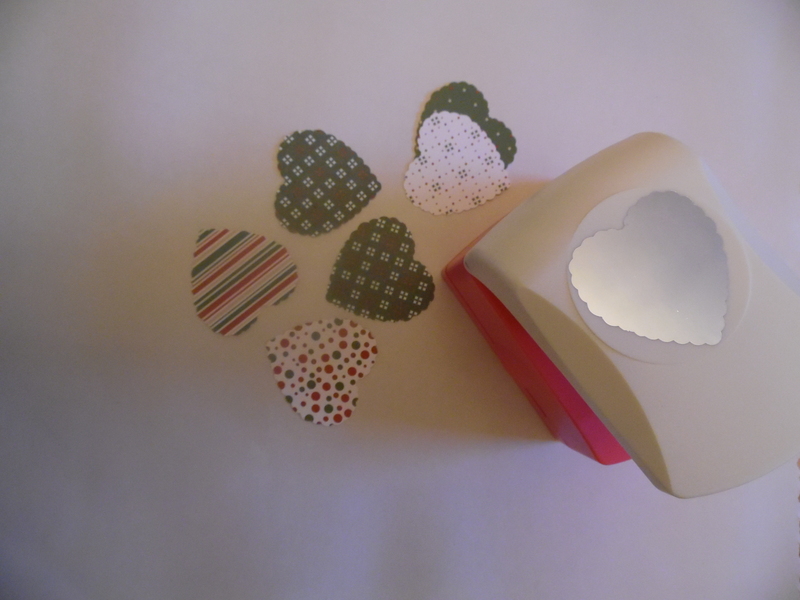 Cut out lots of hearts in christmasy paper – a paper punch like the one in the photo will save a lot of time. Older children could use one but I would prepare the hearts ahead of time. Glue these to the paper plate wreath. Add ribbon. 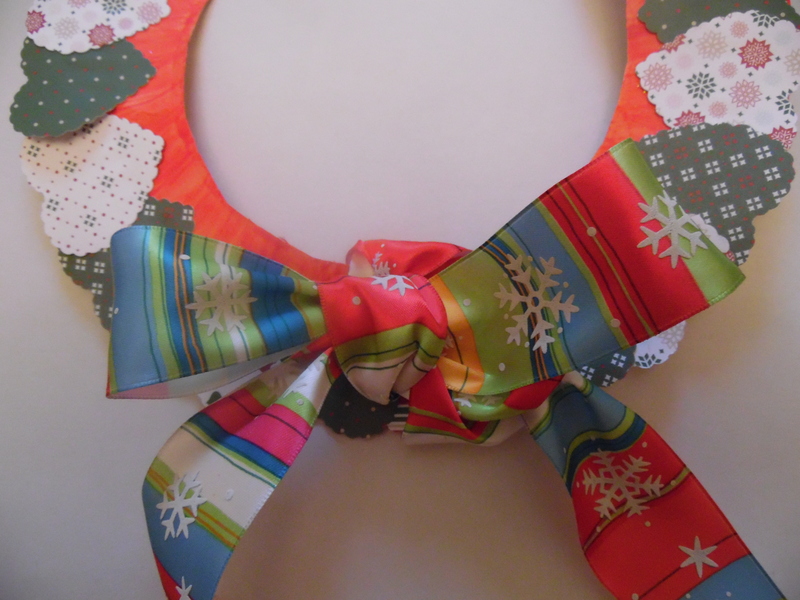 You could use coloured paper plates but make sure the glue you have sticks to them, especially if they look shiny. Wired ribbon will hold a bow shapes fairly well. I bought the one in the photo from Costco.